Special Reports - "Caribbean People Are Animals and Savages, Drop a Bomb and Wipe Them All Out"
The West Indian American Day Parade is held annually over the Labor Day weekend as a celebration of Caribbean culture. 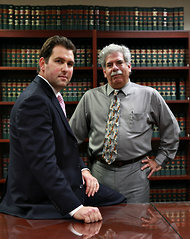 Benjamin Moore, left, and Paul Lieberman, used officers' Facebook comments to defend a man charged with gun possession. Hearing New York police officers speak publicly but candidly about one another and the people they police is rare indeed, especially with their names attached. But for a few days in September, a raw and rude conversation among officers was on Facebook for the world to see — until it vanished for unknown reasons. It offered a fly-on-the-wall view of officers displaying roiling emotions often hidden from the public, a copy of the posting obtained by The New York Times shows. Some of the remarks appeared to have broken Police Department rules barring officers from “discourteous or disrespectful remarks” about race or ethnicity. 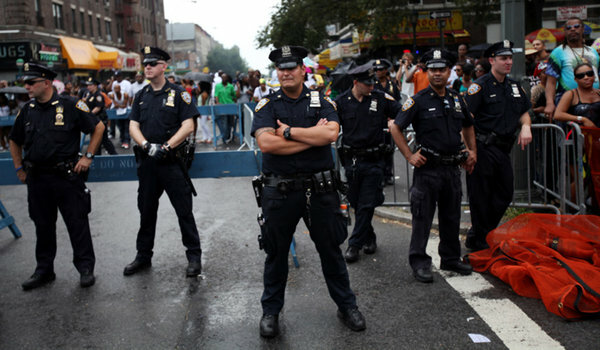 The subject was officers’ loathing of being assigned to the West Indian American Day Parade in Brooklyn, an annual multiday event that unfolds over the Labor Day weekend and that has been marred by episodes of violence, including deaths of paradegoers. Those who posted comments appeared to follow Facebook’s policy requiring the use of real names, and some identified themselves as officers. Paul J. Browne, the Police Department’s deputy commissioner for public information, said he learned of the Facebook group from a reporter and would refer the issue to the department’s Internal Affairs Bureau. But some of the people who posted comments seemed emboldened by Facebook’s freewheeling atmosphere. “Let them kill each other,” wrote one of the Facebook members who posted comments under a name that matched that of a police officer. “Filth,” wrote a commenter who identified himself as Nick Virgilio, another participant whose name matched that of a police officer. “It’s not racist if it’s true,” yet another wrote. The officers were at times spurred on by civilian supporters and other city workers, including members of the Fire Department, an analysis indicated. It is impossible to say with certainty whether those quoted are the people they claim to be. But a comparison by The Times of the names of some of the more than 150 people who posted comments on the page with city employee listings showed that more than 60 percent matched the names of police officers, and Mr. Browne did not deny that they were officers. Of course, some people do circumvent Facebook’s rule on identification. It was impossible to determine the racial breakdown of the officers who were posting comments, but at least one of the participants said that most of them seemed not to be minorities. The page — though visible to any Facebook user before it vanished into the digital ether — appears to have drawn no public notice until an obscure criminal case in State Supreme Court in Brooklyn last month, the gun possession trial of an out-of-work Brooklyn food-service worker named Tyrone Johnson. His defense lawyers put many of the controversial remarks before the jury. But when that too seemed to draw little notice outside the courthouse, the lawyers, Benjamin Moore and Paul Lieberman of Brooklyn Defender Services, provided a digital copy of the Facebook conversation to The Times, saying it raised broad questions about police attitudes. The group’s title, “No More West Indian Day Detail,” attracted Mr. Moore’s attention because Sergeant Edwards had arrested Mr. Johnson in the predawn hours of the celebrations before the parade in 2010. Mr. Moore said that when he clicked on the link — the page was apparently public — and began reading a conversation that ran 70 printed pages, he was struck by what seemed to be its reckless explicitness. “I found it astounding,” he said. He made a digital copy. When he looked two days later, all trace of the group was gone. At the trial, the defense lawyers argued that the gun Sergeant Edwards said he found near their client had not belonged to Mr. Johnson. Mr. Johnson is black and lived in the parade area. The defense suggested that Sergeant Edwards might have planted the gun. Still, through Mr. Moore’s questions, Justice Bruce M. Balter’s courtroom got an earful of what Mr. Moore described as the bias-riddled police commentary. Did Sergeant Edwards agree with the posting that described the parade as “ethnic cleansing”? What about the one that said the parade should be “moved to the zoo”? What about the sarcastic one that called working the parade detail useful “ghetto training”? “I’m not aware of the post, no,” the sergeant testified. He agreed the comments were offensive. A prosecutor, Lindsay Zuflacht, argued that with no posts from Sergeant Edwards, there was “nothing to indicate that he feels at all the same.” The sergeant did testify, however, that he agreed with the statement that police officers were forced each year to become victims of the violence of the West Indian Day parade. On Monday, Jerry Schmetterer, a spokesman for the Brooklyn district attorney, said the office would investigate any matters stemming from the trial referred to it by the Police Department. On Nov. 21, the jury acquitted Mr. Johnson. Copyright 2011 The New York Times Company. Reprinted from The New New York Times, New York Region, of Tuesday, December 6, 2011.